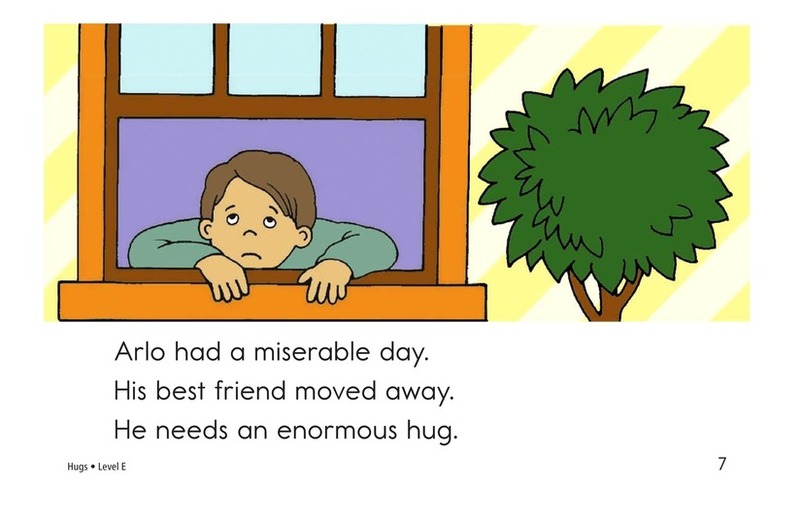 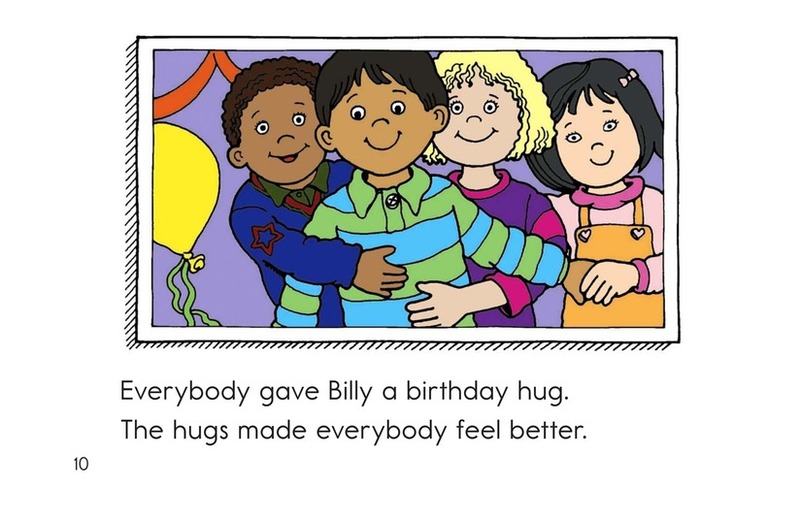 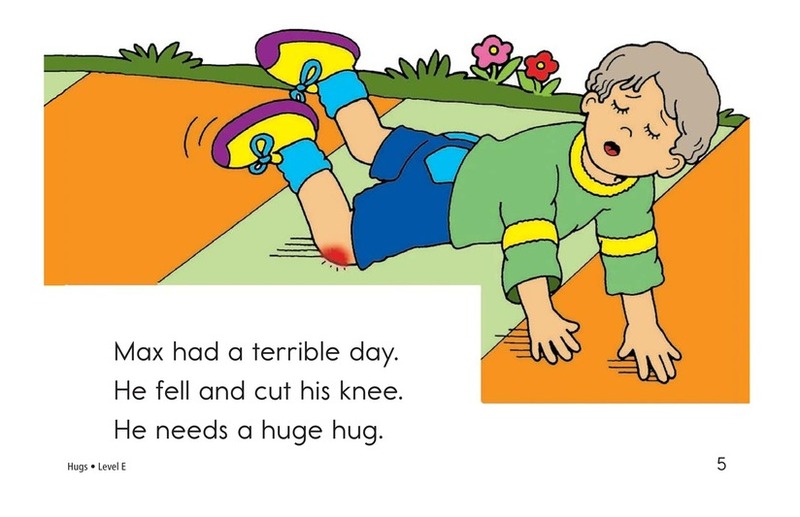 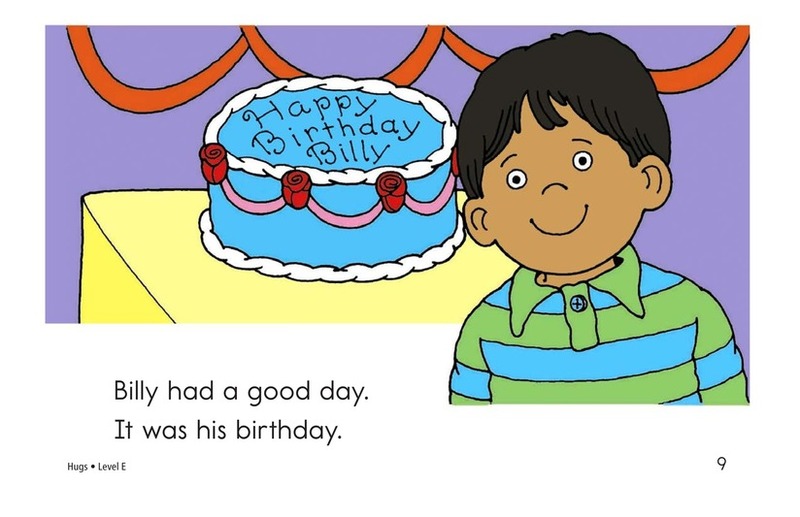 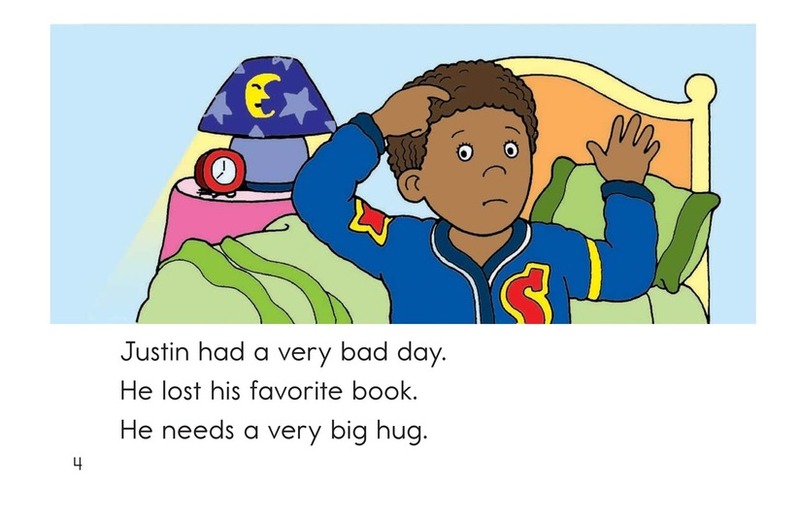 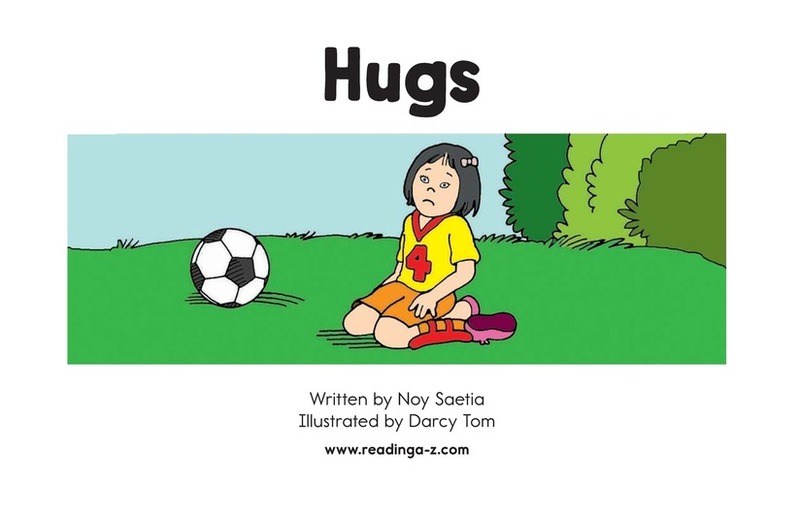 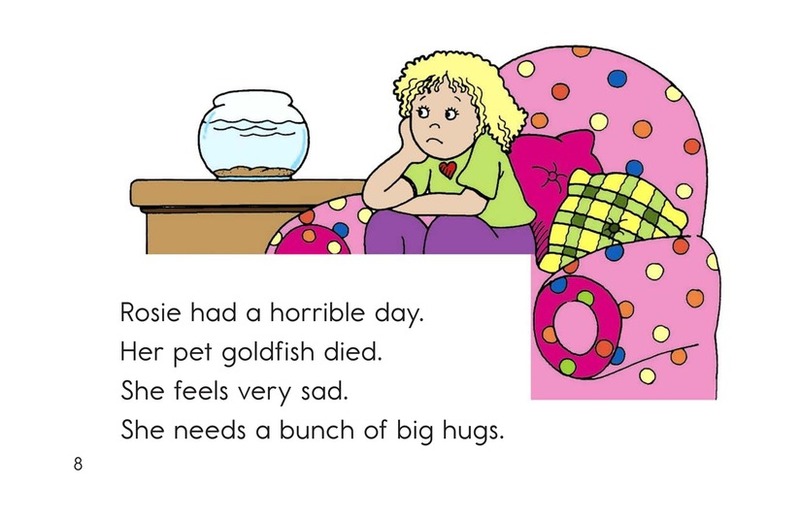 Hugs tells about a group of friends, all but one of whom is having a bad day and needs a hug. 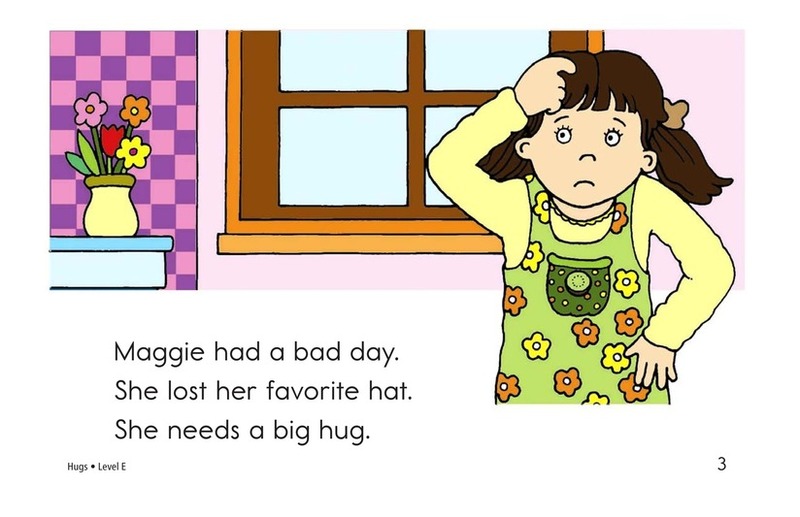 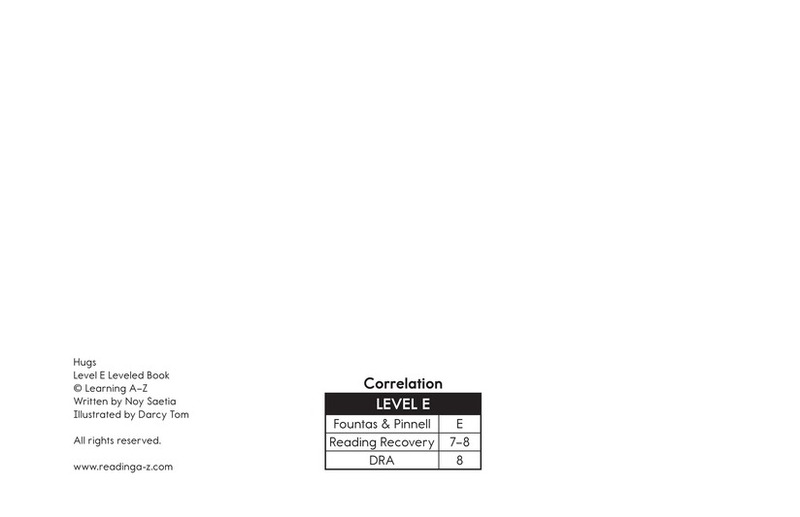 The unexpected conclusion ends the book on an uplifting note. 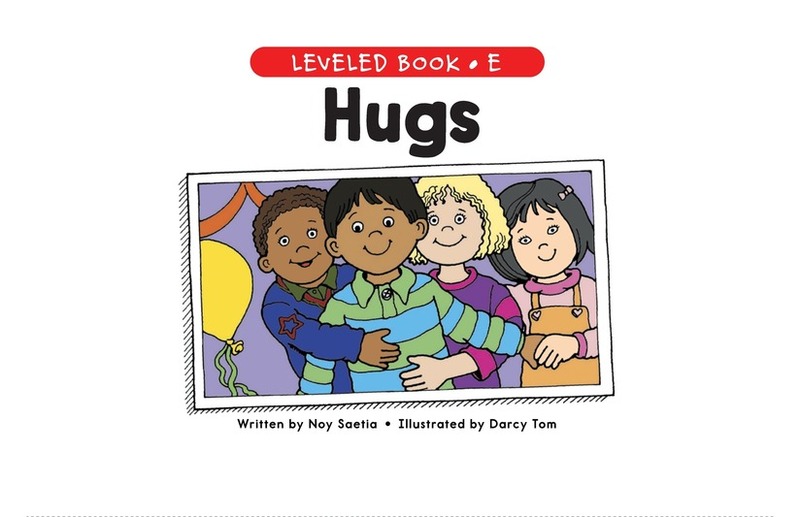 Hugs reinforces the validity of both good and bad feelings and the importance of receiving hugs for either kind.